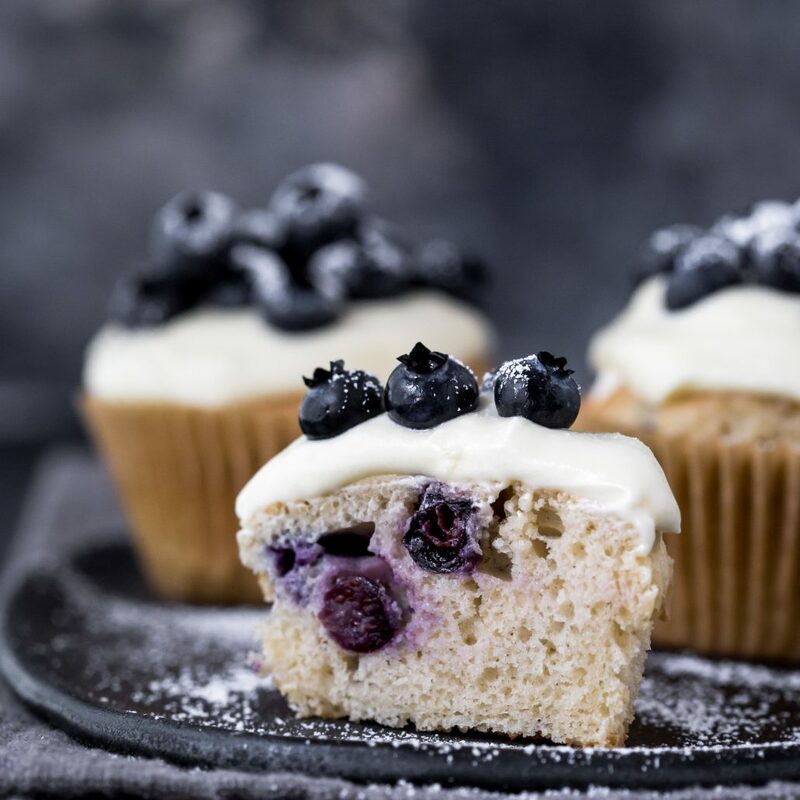 Cupcakes and blueberries, how could you go wrong? 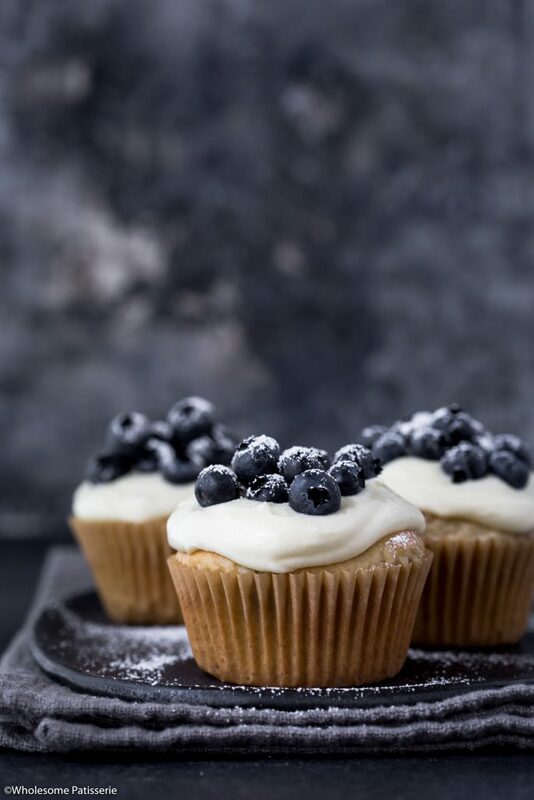 The softest homemade vanilla cupcakes with folded blueberries throughout. 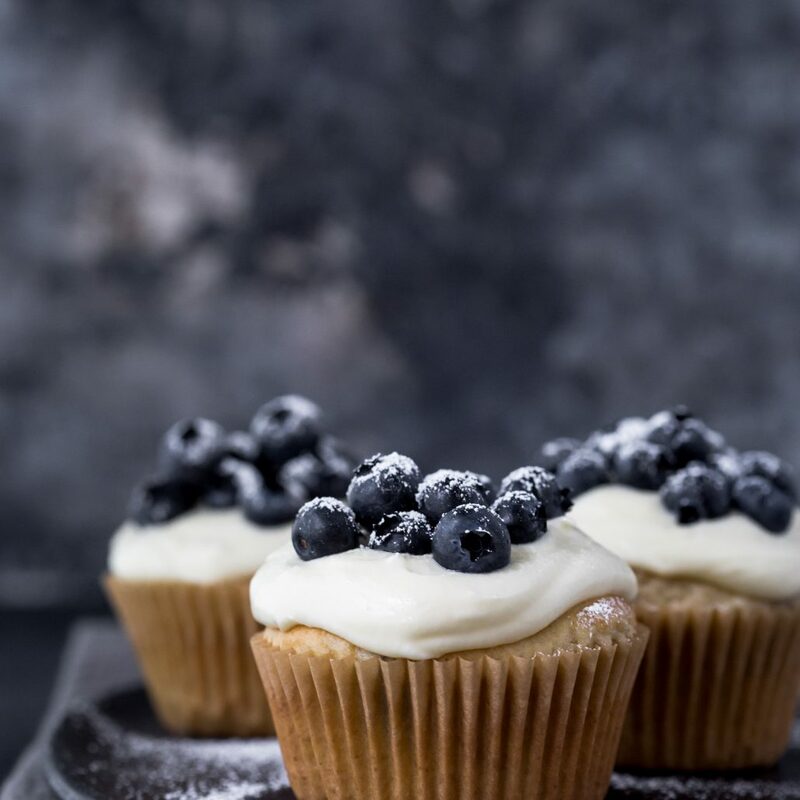 Whip up velvety smooth and heavenly lemon infused cream cheese frosting to top your freshly baked cupcakes with. Both the cakes and the frosting each only require 1-bowl to make, doesn’t get easier than that my friends! Preheat oven to 180ºC (356ºC). Line a 12-hole regular cupcake pan with cupcake liners. Set aside. Using a hand mixer, or a stand mixer fitted with the paddle attachment, beat the mixture for 40 seconds on medium speed. Scraping down the sides as needed. Add blueberries and gently fold through batter until just combined. Divide batter amongst cupcake liners, filling each up 3/4 of the way full. NOTE: this recipe makes 10-12 cupcakes. 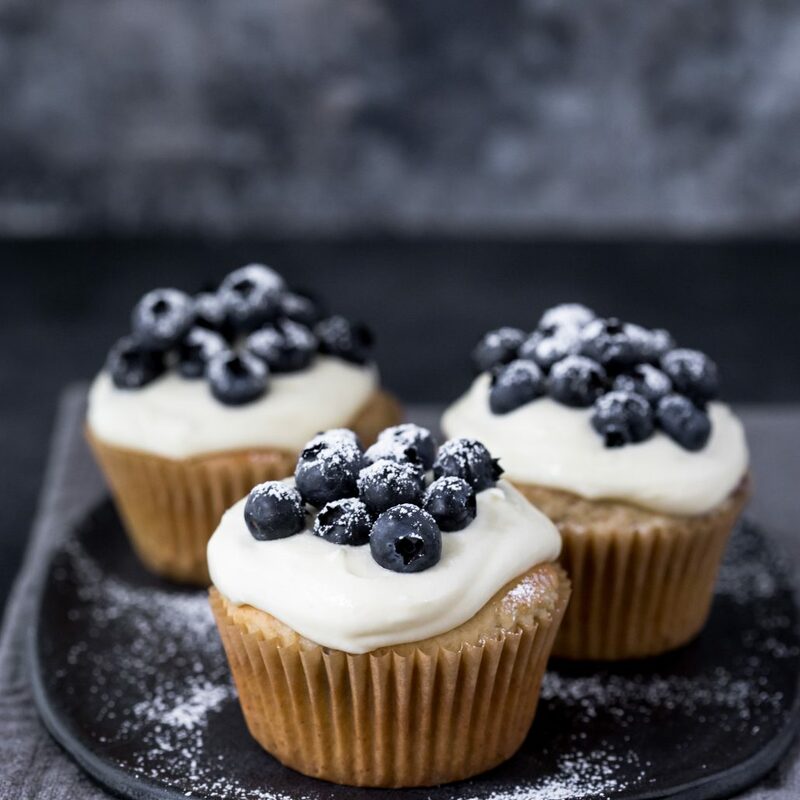 Bake 12-15 minutes or until the tops spring back when lightly pressed or a toothpick inserted into the middle of one cupcake comes out clean. Cool cakes in pan for 2 minutes. In a large mixing bowl or the bowl of a stand mixer, using an electric beater/whisk attachment, add softened cream cheese, butter, lemon zest and lemon juice. Beat on high until softened and well combined. Add 1 cup of icing sugar and beat until just combined. Add second cup of icing sugar and beat for 1 minute until light and creamy, scraping down the sides when needed. 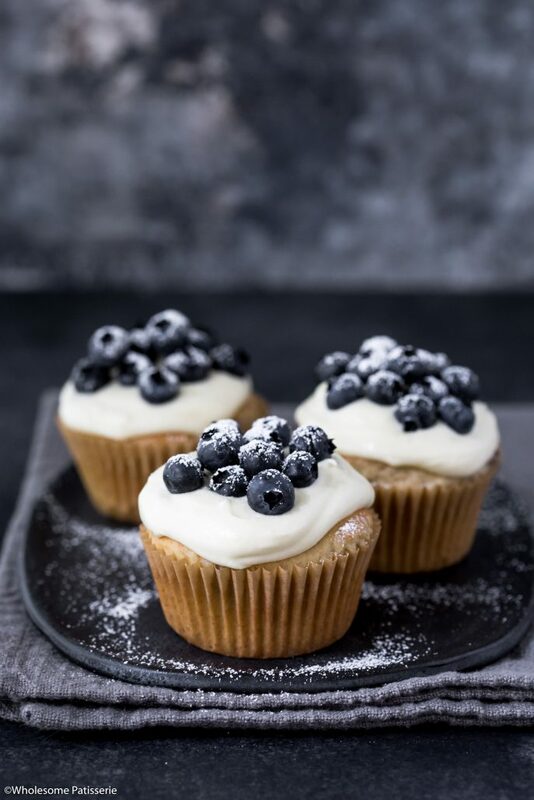 NOTE: add a little more icing sugar if the batter is too wet/runny and won’t hold it’s shape when cupcakes are frosted. A warm/humid room can make your icing too soft. 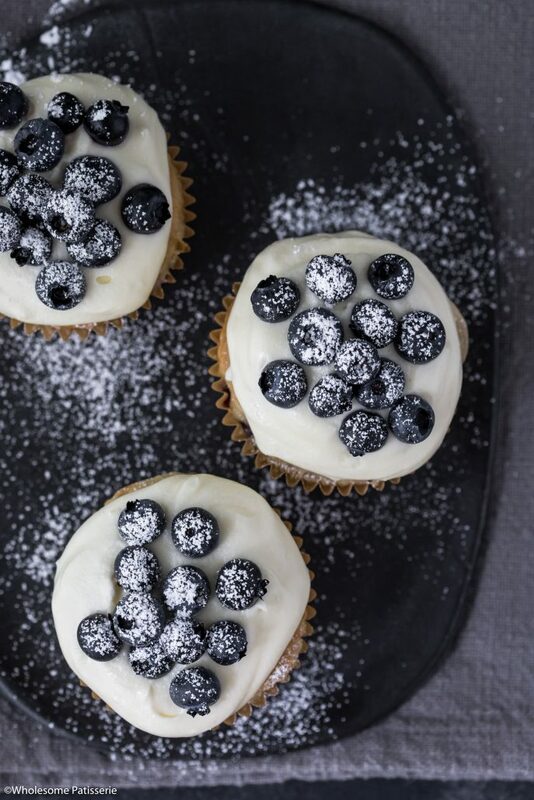 Spread frosting over cooled cupcakes. 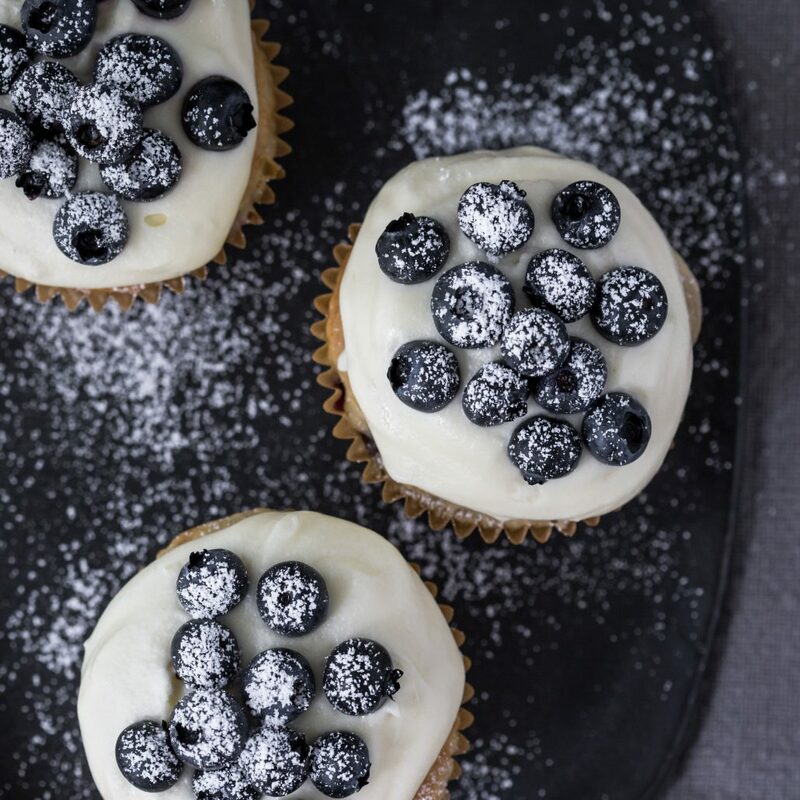 Place a small handful of fresh blueberries onto frosting. 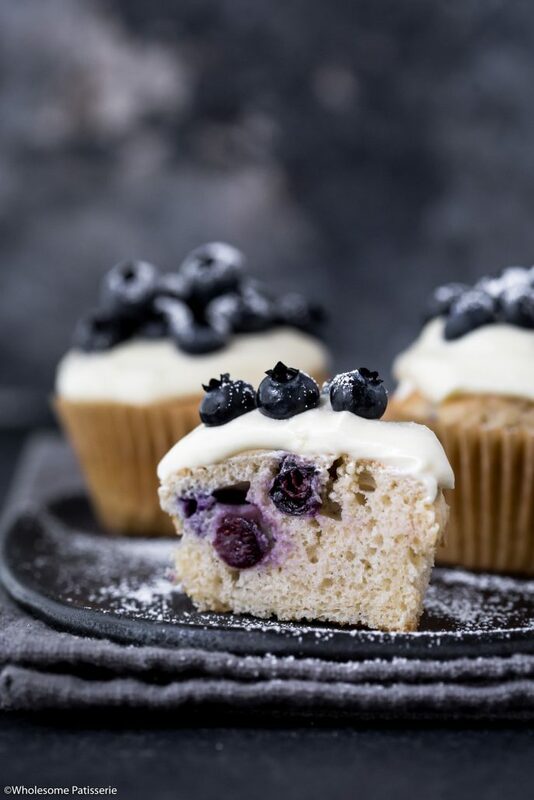 Dust a little icing sugar over blueberries if desired. Store in an airtight container, refrigerated or in the pantry, for 3-4 days. * I use Bob’s Red Mill Baking 1-1 Gluten Free Flour.